No Co-pilot. No Course Notes. Just Man and Machine. This is a story about the greatest race car driver of a generation (arguably ever), climbing into the latest and greatest race car, a machine designed and built specifically for him with the goal of recapturing the World Sportscar Championship for the Maranello Scuderia Ferrari. 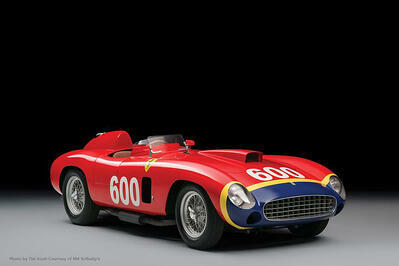 The inaugural season of the World Sportscar Championship took place in 1953 and Ferrari were immediately successful. Having already established themselves as a powerhouse in Formula 1, their passion and engineering brilliance translated flawlessly into sports cars resulting in championships in 1953 and 1954. However, fortunes turned the following season when they were unable to compete with the superior efficiency of the rival Mercedes engine. 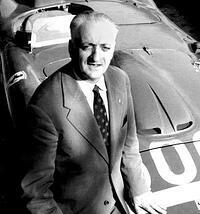 Having tasted defeat, Enzo Ferrari was determined to see his company return glory in 1956. 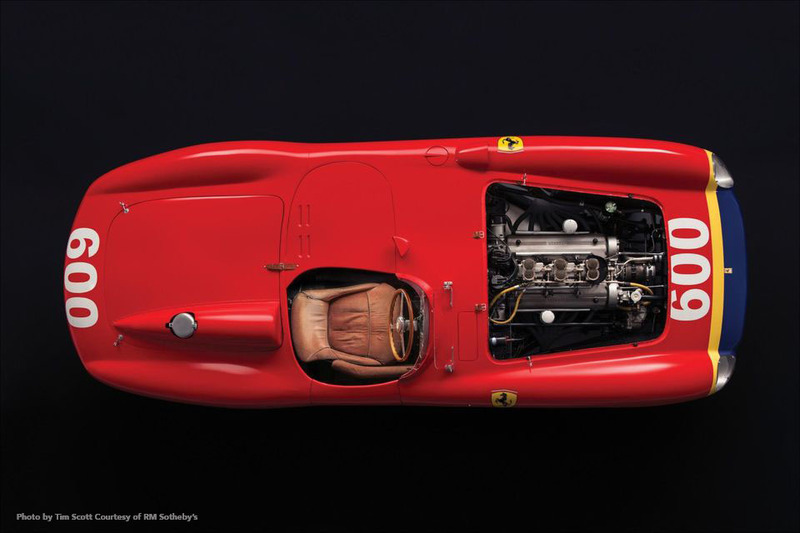 He gathered the finest engineers available and set them to the task of revamping the monstrous V-12 engine that had become synonymous with the Ferrari name. The result was essentially a brand new engine that delivered an additional 40BPH over the previous generation V12. The 290 MM and chassis #0626 were born. Confident that he now had the car to defeat his rivals, Enzo knew he needed to sign a driver who was able to extract the maximum performance from it. He eventually convinced soon to be five-time Formula 1 World Champion Juan Manuel Fangio of Argentina to drive for his team and and the result was a perfect match between man and machine. 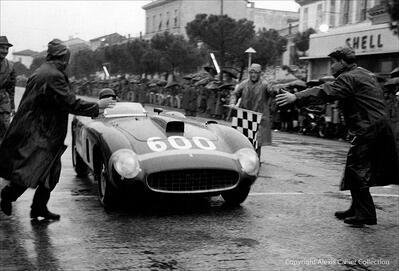 The first big test for chassis #0626 was the 1956 Mille Miglia and car #600 was scheduled to roll off the start line that day at 6:00am local time for a 1000-mile tour across the Italian countryside in torrential conditions. Of the 426 cars that entered the endurance event, 182 would go on to finish. Alone, exposed to the elements, and up against the challenge of his rivals, the Argentinean persevered to bring the car home in fourth place. 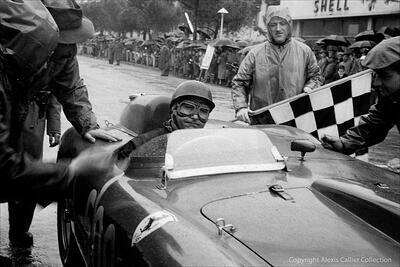 Following the success Fangio had in this race, Ferrari went onto recapture the World Sportscar Championship that year. 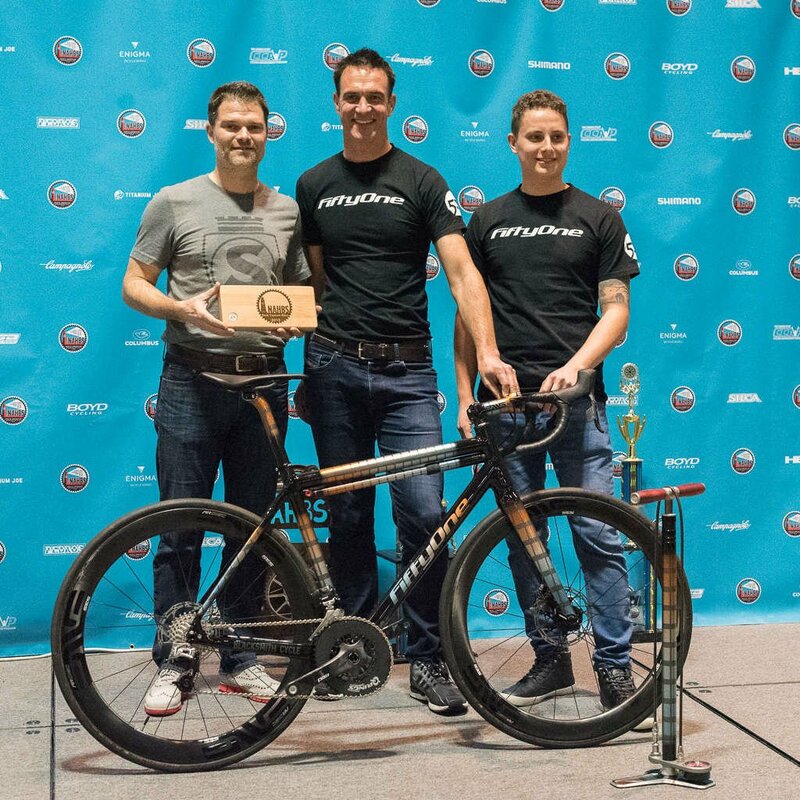 It's the purposefulness and intent in this story that really resonate with Aidan Duff of FiftyOne Bikes. Aidan: "It's a beautiful pairing of man and machine" said Aidan during a recent call to discuss the idea behind this project. "I follow motor racing a bit today but I really enjoy watching and reading about the old days and the racing that was happening during the 1950's and 1960's. Those machines were truly custom built; They were intentionally designed for a purpose and often times even for a specific driver. Compared to today, there were very little rules for the teams back then so development and creativity really flourished." 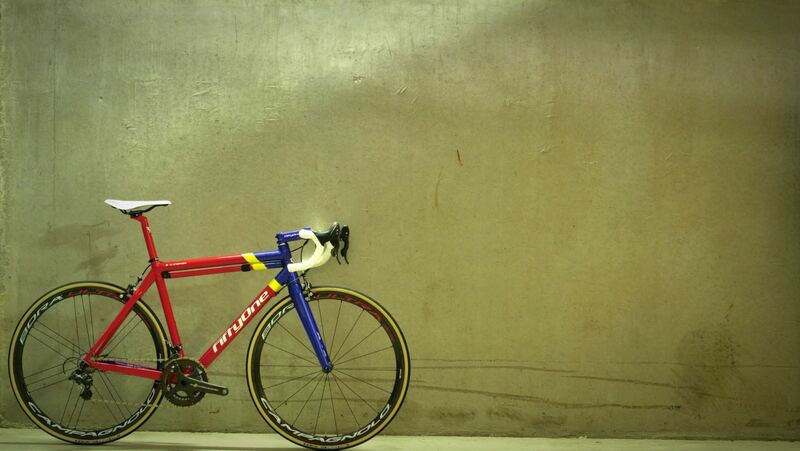 Build #0626 was created for an Irish customer who had lived in Italy for a decade. 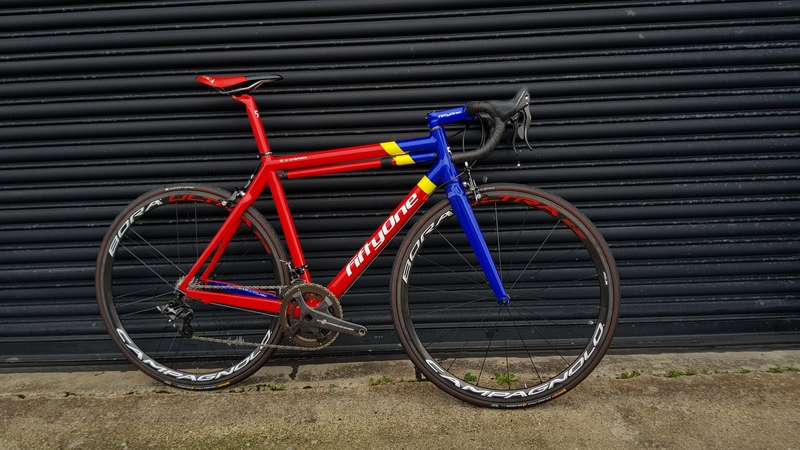 Aidan: "He made the decision to move back to Ireland last year and was attracted to FiftyOne because of our roots but he wanted a bike with an Italian theme; he wanted a very simple elegant design but also one that stood out and was remarkable. So when I told him this story and showed him pictures of the car it all fell into place for him and what he was looking for"
The paint on this bike is a wonderful rendition of the paint on chassis #0626 but it's the finer details and decisions that make it truly special. Chief among these is the fact that FiftyOne chose brands with Italian roots to complete the build. 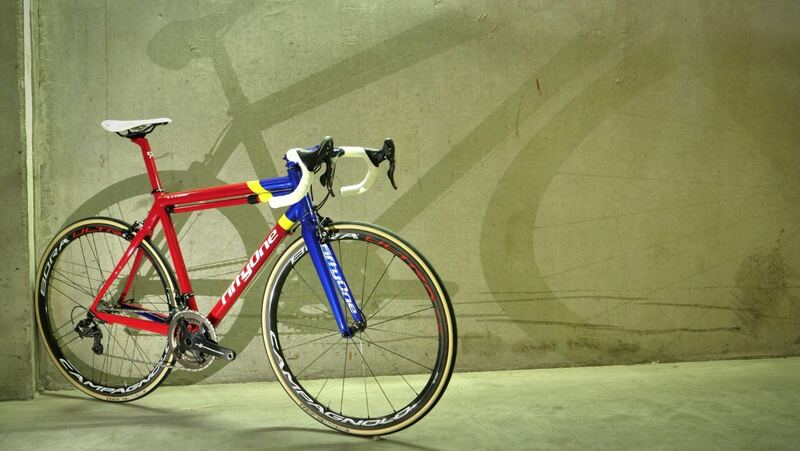 The components and wheels are Campagnolo; the tires Vittoria; the saddle and bar tape Fizik; and the frame pump is proudly our Impero Ultimate Frame pump which has been custom painted to match the bike. Chassis #0626, as it's commonly referred as, would go on to have have a successful racing career in other big races at the hands of other famous drivers but it's the Fangio heritage that makes the car truly special. 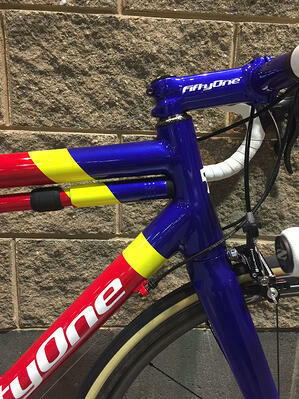 The car was retired from racing in 1964 and over six decades later, it remains one of the most iconic racing machines of all time and now has a stunning custom bike to match. To check out more builds from FiftyOne, click 'Learn More' below. Have an idea for a bike with a back-story like this? Tell us about it in the comments below.